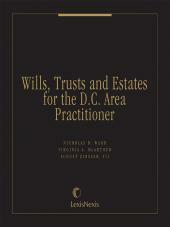 Find valuable guidance for real estate law practice in one easy-to-use volume. 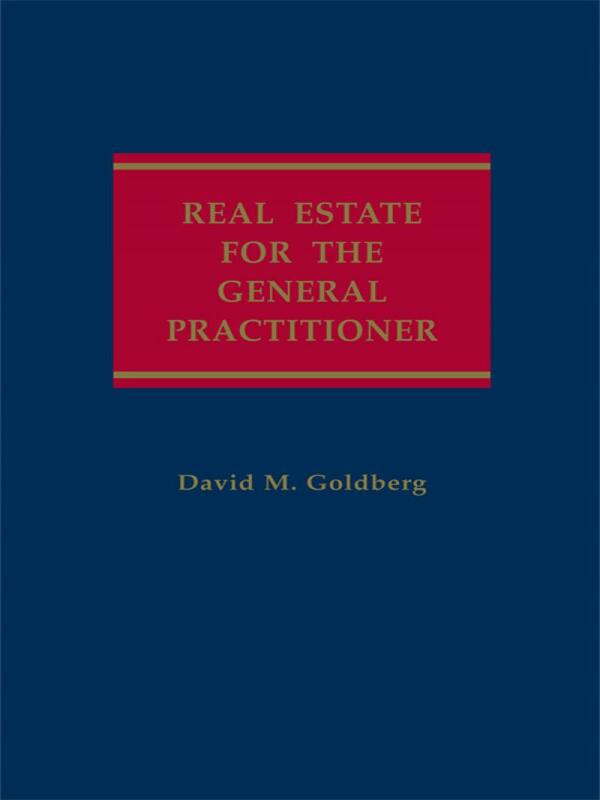 Whether you specialize in real estate law or occasionally handle real estate matters, Real Estate for the General Practitioner will make your work easier by providing quick answers and insightful commentary. 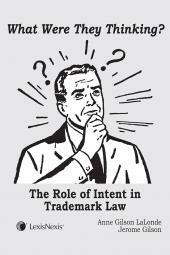 Find valuable guidance for real estate law practice in one easy-to-use volume. Whether you specialize in real estate law or occasionally handle real estate matters, Real Estate for the General Practitioner will make your work easier by providing quick answers and insightful commentary. Authored by an expert in the field, this handy manual covers buying, selling, mortgaging, leasing, title problems and critical related subjects. 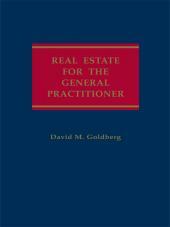 David M. Goldberg has spent most of his lengthy year legal career practicing real estate law in New York City. Mr. Goldberg is special counsel to the New York firm of Rubin, Baum, Levin, Constant & Friedman. He is a graduate of Harvard Law School.